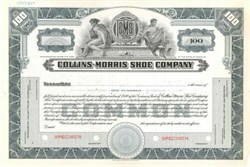 Beautifully engraved SPECIMEN certificate from the Collins-Morris Shoe Company. 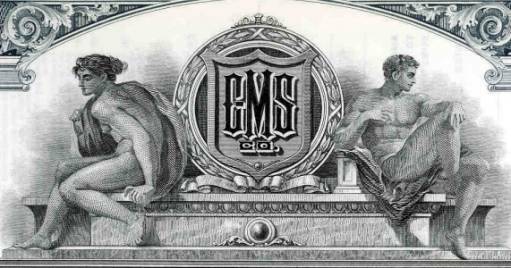 This historic document was printed by the Security Banknote Company and has an ornate border around it with a vignette of an allegorical man and woman by the company logo. In 1940, the company changed its name to Vardaman Shoe Company.